John Ament is a Principal Architect with Sparta Systems, supporting their cloud product lines. His focus has been on making Sparta's products work together in a seamless fashion, starting with the TrackWise and Stratas SC solutions. Mike is the Director of Marketing Communications at Sparta. He’s been connecting audiences with B2B tech companies that deliver game-changing solutions for nearly a decade. Mike holds a BA in Communication from Kean University. Mike spent over 12 years integrating manufacturing operations with ERP and value chain systems at Fortune 100 clients, utilizing his expertise in value chain, quality, manufacturing execution and process automation systems. Trained as a systems engineer to analyze and simplify computer systems, Mike has spent a career helping clients understand their core business drivers, simplify the underlying processes, and automate the repetitive, non-value-added tasks which introduce defects and waste. Prior to joining Sparta Systems, Mike spent 12 years with Interwave Technology, later purchased by Rockwell Automation. Cudemo has a Master’s Degree in Electronics Engineering from Villanova University. Judy Fainor is Chief Architect at Sparta Systems where she is responsible for enterprise software design, technology direction, and architecture. She has over 25 years of experience in product development that includes leading patent initiatives, speaking at technical conferences, and interacting with Fortune 500 customers. Prior to Sparta Systems she was responsible for the architectural strategy of the IBM Optim Data Management portfolio. There she led research and development projects that spanned IBM’s global labs including Japan, India, China, Israel and North America. She was also a participant on the IBM Software Group Architecture Board. 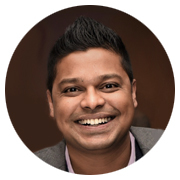 Joby George is a Product Manager for Sparta Systems. 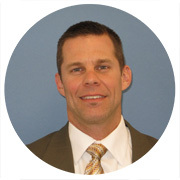 He has been with Sparta for over 11 years with experience in the support, services, and pre-sales organizations. He has lead the effort on various Sparta solutions, such as Electronic Regulatory Report & TrackWise QualityView. His primary responsibility today is leading & defining the efforts for Stratas SaaS-based solutions. Joe Goodman, Director of Solutions Consulting at Sparta Systems, leads the effort to strategically partner with our clients and prospects to find the solution that best fits their business need. Joe is recognized as a thought leader in the fields of quality systems, regulatory compliance and the implementation of enterprise software across the life sciences industry. Prior to joining Sparta Systems Joe spent more than 7 years at Merrill Lynch as a Six Sigma Black Belt. He owes much of his penchant for process and solution design to his time spent in that role. It has served as a perfect launching pad into the world of enterprise quality systems. David Hartmann has over 20 years of experience in the pharmaceutical industry working in computer compliance, automation and Information Technology. Ten of those years were spent creating, deploying and managing TrackWise as a Sparta Systems customer. 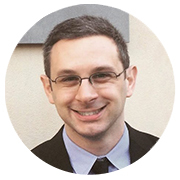 Dave holds an Electrical Engineering degree and MBA from Manhattan College and an MSEE from the New Jersey Institute of Technology. David is currently a product manager at Sparta Systems where he’s the product manager for Stratas - Sparta’s cloud-based supplier quality management (SQM) solution. How Can the Latest Version of Stratas Help Drug Companies Better Manage Customer Complaints and Non-conformances with Suppliers? Brandon Henning is the Industry Solutions Director leading the Consumer Goods & Discrete Industry verticals at Sparta Systems. Brandon has been involved in Food & Beverage and Consumer Goods manufacturing for over twenty years. He spent over a decade at The J.M. Smucker Company managing IT teams responsible for implementing solutions that supported operations, manufacturing, quality, HR, and maintenance. After leaving the Smucker Company, he went to work for GE Intelligent Platforms where he was focused on leading the Consumer Goods vertical Product Organization. At GE Brandon focused on creating software and hardware products consumer goods companies required to drive operation excellence, and ensure product quality. Before coming to Sparta, Brandon lead the Product Management at Rockwell Automation where he continued to focused on delivering quality and manufacturing systems to Food & Beverage and Consumer Goods Manufacturing companies. In this second part, we continue our interview with Bruce Kratz and Jon Ragati, homing in on FDA requirements, making the transition to cloud QMS, and the long-term outlook. Paul Marini, Principle Product & Solutions Manager for Cloud Solutions, leads the effort to ensure Sparta’s cloud based solutions are able to be deployed in a seamless fashion. Paul Marini joined Sparta Systems after spending 7+ years in multiple roles across the industry, gaining business, IT, and consulting experience. Paul was responsible for delivering business and work systems that enhanced Quality and Regulatory functional capabilities, enabling his teams to meet the requirements of emerging and changing regulations, and improving work performance and effectiveness. Paul’s prior experience includes certification as a TrackWise Product Specialist as well as expertise in Project Execution, Software Validation, SDLC, and 21 CFR Part 11 Compliance. Paul has led both implementations and software validation efforts related to the TrackWise quality management platform for dozens of companies in the Pharma and Medical Device verticals. Paul holds a Bachelor of Science degree in Pure & Applied Mathematics from Stevens Institute of Technology. Jaseem Mahmmdla is a Senior Product and Solution Manager at Sparta Systems. His responsibilities include developing and managing data and analytics strategy across Sparta products. Jaseem is a subject matter expert in Quality Metrics with specialization in Business Intelligence, Data and Analytics. Jaseem has Bachelor Degree in Computer Science and Engineering and has over 15 years of experience working with life science and financial organizations as an enterprise software engineer and a technical leader. Specializing in management system audits and the development of internal and external audit programs and tools, Mr. Middleton has a passion for helping people ensure management system quality and robust compliance through value-added, process-driven auditing programs. His auditing experience includes standards and regulations for the automotive, life sciences, medical devices and consumer product verticals, including ISO 9001, ISO 13485, ISO 14000, FDA 21 CFR 820, Japanese Pharmaceutical Affairs Law (JPAL), Canadian Medical Devices Conformity Assessment System (CMDCAS), EU Medical Device Directive (MDD), and the Brazilian ANVISA standards. Praveena has been with Sparta Systems for two years working as a Senior Quality Engineer in the R&D Department. Prior to joining Sparta Systems Praveena worked for five years at IBM, Princeton in a QA Software Advisory Role. Vince has spent the last 13 years helping large companies strategize and achieve their quality goals though enterprise software. In his current role with Sparta Systems, he works closely with Life Sciences Customers to determine which solutions best meet their quality and regulatory needs. Prior to that, he spent 10 years working for a Contract Manufacturer where, in addition to his day to day responsibilities of Managing Sales, he lead the company wide effort of implementing a successful ISO system which consisted of creating and leading the ISO Steering Committee, managing the Internal Auditing and Management Review program, and working with 3rd Party Registrar during on site audits. Vince holds a BS degree from Miami University in Oxford, OH.